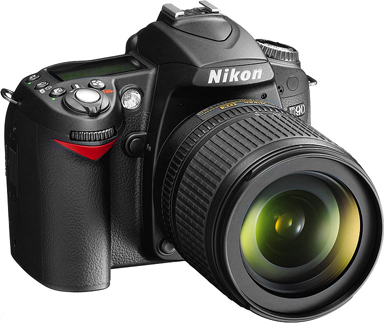 Nikon has just announced D90 🙂 its 12MP, has 3″ LCD, Livew View, Dust Cleaning, 4.5FPS and 720p/24 VideoÂ !! This will probably be my next buy 🙂 Hope to see some good reviews very soon! app konsa Camera ajj kal use ker raha hey. r hah ek baat r yeh jo pic apna apni website per upload key hey yeh direct apka camer key hey yah sab photoshop kaa kamal hey. but bohat khub kaa kaam hey. keep it up. Im using Nikon D40 with 18-55mm & 55-200mm lens, and Canon SD850 IS. Almost every photo has to go through Photoshop for color and tone correction, and contrast adjustment. Though, the original quality is almost similar to the edited ones(being a bit dull). Please check at Regal Chowk, Saddar. You might be lucky enough to find one for a reasonable price..
Buying online can be expensive after taxes and duties, and what if you get a faulty unit? But it would be fine if someone is coming to Pakistan, or can send via courier after verifying the unit. Yes D90 with D5000’s LCD would ve bn ideal na??? :)Is it coming out any time soon??? Should I wait for it?? Also I have a Nikkor AF 35-105 lense(with my old F-70.) Should I buy D90 with lense n kit or only body. Is it safe to buy from Karachi… Would it be really BRAND NEW??? Pl advise. Thak you so much!!! Its up to u 🙂 I can wait since I have D40. I’m personally a fan of Wide-Angles and rarely go beyond 35mm. It should be new, and safe if you buy from a Nikon dealer (042-111-124-125, 021-4315569).